Former president of Honduras Zelaya wanted to hold a non-binding consultation to convene a national constituent assembly, and pressure his political opponents into redrafting the Constitution.6 However, the political opposition to President Zelaya, consisting mostly of conservatives, claimed that the president was looking to secure his re-election, and also violating the Constitution in doing so. Thus, the opposition staged a coup against Zelaya to protect their economic and political security. This coup enjoyed support from the Honduran Supreme Court, which had ordered to place President Zelaya under military arrest and exile him to Costa Rica, considering his decision to held a referendum un-constitutional. Romeo Vasquez, a Honduran general, subsequently took power, and immediately transferred it to the president of the country’s Congress, Roberto Micheletti. Vaquez’s actions attempted to mask the military’s participation in the coup by placing it under civilian control causing it to appear “constitutional.”7 In the meantime, the Honduran Supreme Court stated that President Zelaya was “abusing his authority” and committing “treason against the fatherland” because he could not constitutionally hold a referendum.8 However, the President maintained that he was merely trying to seek non-binding consultation and not a referendum, insinuating the hypocrisy of the Supreme Court. The situation in Venezuela has maintained such polarization. The Council on Hemispheric Affairs reports, “since President Hugo Chavez’s first electoral victory in 1998, the United States has provided support for regime change in Caracas, funneling U.S. AID and National Endowment for Democracy funds to right-wing Venezuelan opposition organizations. An additional $5.5 million proposed for FY 2016.”21 In nearly every country of the world, it is illegal to receive funds from a sovereign state to finance internal policy and elections. In Venezuela, the illegality of this is enshrined in the Constitution. However, the government did not take drastic actions against illegal funding provided by the United States. A New Attempted Coup in Venezuela ? Mainstream media has a short memory, and a majority of it considers the alleged plot to be ridiculous.66 However, considering the interventionist policy Washington has historically implemented in the hemisphere, these allegations deserve fair analysis. The media’s silence on the evidence presented by the Venezuelan government is astonishing.67 The hypothesis that the Maduro government is under attack from an attempted coup must be considered. Just because an individual may believe these allegations does not indicate support of Maduro’s policies. There is a big difference between criticizing a country for its policies and intervening in the democratic processes of other countries, which is intolerable. The same holds true for corruption and other governmental problems, such as transparency. Venezuela is not the only country with human rights blunders, corruption and lack of transparency.72 And despite the somewhat dire situation, Venezuela is also not the only regional actor that faces difficulty in its economy and crime rate. But mainstream media does not seem to recognize the relativity of the present affair. 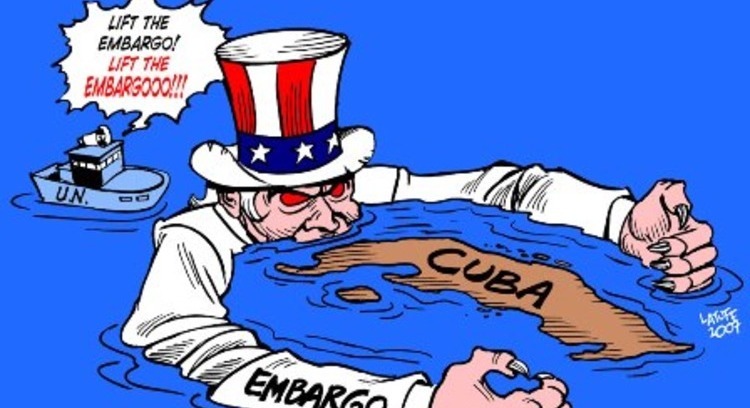 As many publications on the left have explained, the media distortion of reality in Venezuela is fact, not allegation.73 The ultra-right in the U.S. Congress that opposes normalization with Cuba, and supports sanctions against Venezuela, claims that reestablishing relations with Cuba opposes the Democratic Charter of the Organization of American States (signed in 2001), but at the same time, it actively supports conspirators in Venezuela, yet fails to criticize the return to one-man rule regimes in Haiti or Egypt supported by the United States.74 However, double standards apply when it comes to U.S. hegemony, distorting reality and jeopardizing the truth. 1LEMOINE Maurice, “Latin American coups upgraded,” in Le Monde Diplo, on August 2014. Consulted on http://mondediplo.com/2014/08/06coups on March 3, 2015. 2WEISBROT Mark, “Obama absurdly declares Venezuela a security threat » in Al Jazeera, on March 10, 2015. Consulted on http://america.aljazeera.com/opinions/2015/3/obama-absurdly-declares-venezuela-a-national-security-threat.html on March 10, 2015. ; « Ecuador’s Correa Calls US Sanctions on Venezuela ‘a Bad Joke’ » in Telesur, on March 10, 2015. Consulted on http://www.telesurtv.net/english/news/Ecuadors-Correa-Calls-US-Sanctions-on-Venezuela-a-Bad-Joke-20150310-0003.html on March 10, 2015 ; .EFE, “Insulza ve complicado que EE UU declare emergencia por amenaza de Venezuela” in El Nacional, on March 9, 2015. Consulted on http://www.el-nacional.com/politica/Insulza-EE-UU-emergencia-Venezuela_0_588541353.html on March 10, 2015. 3« UNASUR Rejects US Destabilization Efforts in Venezuela » in TeleSurEnglish on March 6, 2015. Consulted on http://www.telesurtv.net/english/news/UNASUR-Rejects-US-Destabilization-Efforts-in-Venezuela-20150306-0026.html on March 9, 2015. ; WEISBROT Mark, “Obama absurdly declares Venezuela a security threat » in Al Jazeera, on March 10, 2015. Consulted on http://america.aljazeera.com/opinions/2015/3/obama-absurdly-declares-venezuela-a-national-security-threat.html on March 10, 2015. 4LEMOINE Maurice, “Latin American coups upgraded,” in Le Monde Diplo, on August 2014. Consulted on http://mondediplo.com/2014/08/06coups on March 3, 2015. 7Ibid. ; McDERMOTT Jeremy, “Honduras supreme court ‘ordered army coup’” in the Telegraph, On June 28, 2009. Consulted on http://www.telegraph.co.uk/news/worldnews/centralamericaandthecaribbean/honduras/5677026/Honduras-supreme-court-ordered-army-coup.html on March 3, 2015. 8 “Orden de captura contra Zelaya” by Libertad Digital. Consulted on http://www.libertaddigital.com/documentos/orden-de-captura-contra-zelaya-17027313.html on March 3, 2015 ; McDERMOTT Jeremy, “Honduras supreme court ‘ordered army coup’” in the Telegraph, On June 28, 2009. Consulted on http://www.telegraph.co.uk/news/worldnews/centralamericaandthecaribbean/honduras/5677026/Honduras-supreme-court-ordered-army-coup.html on March 3, 2015. 10LEMOINE Maurice, “Latin American coups upgraded,” in Le Monde Diplo, on August 2014. Consulted on http://mondediplo.com/2014/08/06coups on March 3, 2015. 12LEMOINE Maurice, “Latin American coups upgraded,” in Le Monde Diplo, on August 2014. Consulted on http://mondediplo.com/2014/08/06coups on March 3, 2015. 14Facts reported by Le Monde Diplo and the BBC, “Ecuador declares state of emergency amid ‘coup attempt’”, BBC, September 30, 2010, Consulted on http://www.bbc.com/news/world-latin-america-11447519 onb March 3, 2015; LEMOINE Maurice, “Latin American coups upgraded,” in Le Monde Diplo, on August 2014. Consulted on http://mondediplo.com/2014/08/06coups on March 3, 2015. 15LEMOINE Maurice, “Latin American coups upgraded,” in Le Monde Diplo, on August 2014. Consulted on http://mondediplo.com/2014/08/06coups on March 3, 2015. 18BIRNS Larry, MILLS Frederick and PINEO Ronn, “The Council on Hemispheric Affairs Opposes U.S. Intervention in Venezuela and Calls for a Resumption of Full Diplomatic Relations with Caracas” on Council on Hemispheric Affairs, on February 26, 2015. Consulted on http://www.coha.org/the-council-on-hemispheric-affairs-opposes-u-s-intervention-in-venezuela-and-calls-for-a-resumption-of-full-diplomatic-relations-with-caracas/ on March 3, 2015. 21BIRNS Larry, MILLS Frederick and PINEO Ronn, “The Council on Hemispheric Affairs Opposes U.S. Intervention in Venezuela and Calls for a Resumption of Full Diplomatic Relations with Caracas” on Council on Hemispheric Affairs, on February 26, 2015. Consulted on http://www.coha.org/the-council-on-hemispheric-affairs-opposes-u-s-intervention-in-venezuela-and-calls-for-a-resumption-of-full-diplomatic-relations-with-caracas/ on March 3, 2015. 22WEISBROT Mark, “Venezuela’s Struggle, Widely Misrepresented, Remains a Classic Conflict Between Right and Left” in The Guardian, March 4, 2014. Consulted on http://www.cepr.net/index.php/op-eds-&-columns/op-eds-&-columns/venezuelas-struggle-widely-misrepresented-remains-a-classic-conflict-between-right-and-left on March 3, 2015. ; BHATT Keane, “U.S. Destabilization and Media Distortion in Venezuela (Interview)” on NACLA, on February 25, 2014. Consulted on https://nacla.org/news/2014/2/25/us-destabilization-and-media-distortion-venezuela-interview on March 3, 2015; PARTYKA Nicholas, “On the Recent Crisis in Venezuela: Confronting the US Media Narrative about the Crisis” The Hampton Institute, on July 2nd, 2014. Consulted on http://www.hamptoninstitution.org/us-media-and-venezuela.html#.VPXfIywnzF8 on March 3, 2015. 24WEISBROT Mark, “Hard choices: Hillary Clinton admits role in Honduran coup aftermath” on AlJazeera, On Setember 14, 2014. Consulted on http://america.aljazeera.com/opinions/2014/9/hillary-clinton-honduraslatinamericaforeignpolicy.html on March 3, 2015; FRANK Dana « Hopeless in Honduras?” on Foreign Affairs, on November 22, 2013. Consulted on http://www.foreignaffairs.com/articles/140283/dana-frank/hopeless-in-honduras on March 3, 2015. 26WEISBROT Mark, “Ecuador: Coup attempt encouraged by Washington” in Links, on October 1, 2010. Consulted on http://links.org.au/node/1925 on March 3, 2015. 27 FORERO Juan, “Documents Show C.I.A. Knew of a Coup Plot in Venezuela” on New York Times, on December 3, 2004. Consulted on http://www.nytimes.com/2004/12/03/international/americas/03venezuela.html on March 3, 2015. 29 FORERO Juan, “Documents Show C.I.A. Knew of a Coup Plot in Venezuela” on New York Times, on December 3, 2004. Consulted on http://www.nytimes.com/2004/12/03/international/americas/03venezuela.html on March 3, 2015. 31The details about several of these senior officers of Bush administration can be found in details in the article fo The Guardian : VULLIAMY Ed, “Venezuela coup linked to Bush team,” The Guardian, on April 21, 2002. Consulted on http://www.theguardian.com/world/2002/apr/21/usa.venezuela on March 3, 2015. 33 In Bolivia, The government accused the U.S. ambassador to have been included in the plot, see FUENTES Frederico, “Bolivia: WikiLeaks expose US conspiracy » in Gree Left Weekly, on Monday, August 1, 2011. Consulted on https://www.greenleft.org.au/node/48367 on March 10, 2015 ; in Paraguay even if the evidence are not clear, secret correspondences revealed by Wikileaks tend to push forward a clear U.S. interference in the country. See more on KOZLOFF Nikolas, “WikiLeaks: Washington and Paraguay’s ‘Quasi-Coup’” in Huffington Post, on July 19, 2012. Consulted on http://www.huffingtonpost.com/nikolas-kozloff/wikileaks-washington-and-_1_b_1683568.html on March 10, 2015 ; In the case of Haiti, the U.S., French and Canadian interferences has been much more documented. See more on FARMER Paul “Who removed Aristide” in the London Review of Books, Vol. 26 No. 8 · 15 April 2004 pages 28-31, on the following link: http://www.lrb.co.uk/v26/n08/paul-farmer/who-removed-aristide ; see also FRENCH, Howard W.; Time Weiner (14 November 1993). “C.I.A. Formed Haitian Unit Later Tied to Narcotics Trade”. New York Times ; BEENTON Dan, NIENABER Georgianne, “Haiti’s Doctored Elections, Seen from the Inside: An Interview with Ricardo Seitenfus” in Dissent Magazine, on February 24, 2014. Consulted on http://www.dissentmagazine.org/online_articles/haitis-doctored-elections-seen-from-the-inside-an-interview-with-ricardo-seitenfus on March 5, 2015. 34“Open letter: Venezuela’s coup plot must be condemned internationally” in the Guardian, on February 18, 2015. Consulted on http://www.theguardian.com/world/2015/feb/18/venezuelas-coup-plot-condemned-internationally on March 3, 2015. 35According to “Open letter: Venezuela’s coup plot must be condemned internationally” in the Guardian, on February 18, 2015. Consulted on http://www.theguardian.com/world/2015/feb/18/venezuelas-coup-plot-condemned-internationally on March 3, 2015. 36 “Sebin detuvo al alcalde Metropolitano Antonio Ledezma”. El Universal. On February 19, 2015. Consulted on http://www.eluniversal.com/nacional-y-politica/150219/sebin-detuvo-al-alcalde-metropolitano-antonio-ledezma on March 3, 2015. 37 “Presented new evidence of the attempted coup in Venezuela” on LaInfo.es on February 26, 2015. Consulted on http://lainfo.es/en/2015/02/26/presented-new-evidence-of-the-attempted-coup-in-venezuela/ on March 3, 2015 ; « Venezuelan Officials Present Evidence of Coup Plot” on TeleSur, on February 26, 2015. Consulted on http://www.telesurtv.net/english/news/Venezuelan-Officials-Present-Evidence-of-Coup-Plot-20150225-0041.html on March 3, 2015; “Implicados en intento de golpe de Estado han confesado” on Globovision on February 13, 2015. consulted on http://globovision.com/cabello-presentara-nuevas-pruebas-de-intento-de-golpe-de-estado/ on March 3, 2015; « Caracas difunde pruebas del intento de golpe” on Pagina 12, on February 27, 2015. Consulted on http://www.pagina12.com.ar/diario/elmundo/4-266980-2015-02-27.html on March 3, 2015 ; GUERRA CABRERA Angel, “EU acelera el golpe en Venezuela” on La Jornada, on February 26, 2015. Consulted on http://www.jornada.unam.mx/2015/02/26/opinion/030a1mun on March 3, 2015. 39« Noguera reconoce autenticidad del video y que pedirían renuncia de Maduro » in Ultima Noticias, on March 4, 2015. Consulted on http://www.ultimasnoticias.com.ve/noticias/actualidad/politica/noguera-reconoce-autenticidad-del-video-y-que-pedi.aspx#ixzz3TcNjqvlo on March 6, 2015. 40« Noguera reconoce autenticidad del video y que pedirían renuncia de Maduro » in Ultima Noticias, on March 4, 2015. Consulted on http://www.ultimasnoticias.com.ve/noticias/actualidad/politica/noguera-reconoce-autenticidad-del-video-y-que-pedi.aspx#ixzz3TcNjqvlo on March 6, 2015. 41ORTIZ Jean, “Venezuela : La stratégie du coup d’État permanent” in L’Humanité, on February 16, 2015. Consulted on http://www.humanite.fr/venezuela-la-strategie-du-coup-detat-permanent-565647 on March 3, 2015. 43ORTIZ Jean, “Venezuela : La stratégie du coup d’État permanent” in L’Humanité, on February 16, 2015. Consulted on http://www.humanite.fr/venezuela-la-strategie-du-coup-detat-permanent-565647 on March 3, 2015. 44Ibid. ; « Venezuelan Officials Present Evidence of Coup Plot” on TeleSur, on February 26, 2015. Consulted on http://www.telesurtv.net/english/news/Venezuelan-Officials-Present-Evidence-of-Coup-Plot-20150225-0041.html on March 3, 2015; « Caracas difunde pruebas del intento de golpe” on Pagina 12, on February 27, 2015. Consulted on http://www.pagina12.com.ar/diario/elmundo/4-266980-2015-02-27.html on March 3, 2015 ; « Noguera reconoce autenticidad del video y que pedirían renuncia de Maduro » in Ultima Noticias, on March 4, 2015. Consulted on http://www.ultimasnoticias.com.ve/noticias/actualidad/politica/noguera-reconoce-autenticidad-del-video-y-que-pedi.aspx#ixzz3TcNjqvlo on March 6, 2015. 45Ibid. ; KOERNER Lucas, “New Evidence Links Ledezma, COPEI to Thwarted Coup”, on Venezuela Analysis, on February 27, 2015. Consulted on http://venezuelanalysis.com/news/11238 on March 3, 2015; « Venezuela : le maire de Caracas accusé d’avoir tenté un coup d’Etat « in Le Nouvel Obs, on February 20, 2015. Consulted on http://tempsreel.nouvelobs.com/monde/20150220.OBS2959/venezuela-le-maire-de-caracas-accuse-d-avoir-tente-un-coup-d-etat.html on March 3, 2015. 46KEJAL Vyas, “Venezuela to Charge Opposition Leader in Alleged Plot to Kill President Machado Says Allegations Are False, Government Attempt to Stifle Rivals”, in The Wall Street Journal on November 26, 2014. Consulted on http://www.wsj.com/articles/venezuela-to-charge-opposition-leader-in-alleged-plot-to-kill-president-1417050209, on March 3, 2015. 47KOERNER Lucas, “New Evidence Links Ledezma, COPEI to Thwarted Coup”, on Venezuela Analysis, on February 27, 2015. Consulted on http://venezuelanalysis.com/news/11238 on March 3, 2015; « Venezuelan Officials Present Evidence of Coup Plot” on TeleSur, on February 26, 2015. Consulted on http://www.telesurtv.net/english/news/Venezuelan-Officials-Present-Evidence-of-Coup-Plot-20150225-0041.html on March 3, 2015. 49“Venezuelan general arrested over plot to topple president, officials say” in The Guardian, on February 13, 2015. Consulted on http://www.theguardian.com/world/2015/feb/13/venezuelan-plot-topple-president-maduro on March 3, 2015. 50“Alto Mando Militar condena “planes desestabilizadores” » on El Impuslo, onFebruary 13, 2015. Consulted on http://elimpulso.com/articulo/alto-mando-militar-condena-planes-desestabilizadores onMarch 10, 2015. 51 « Derecha golpista elaboró plan de 100 días para atentar contra el Gobierno y los venezolanos » in Correo del Orinoco, on March 4, 2015. Consulted on http://www.correodelorinoco.gob.ve/nacionales/derecha-golpista-elaboro-plan-100-dias-para-atentar-contra-gobierno-y-venezolanos/ on March 10, 2015. 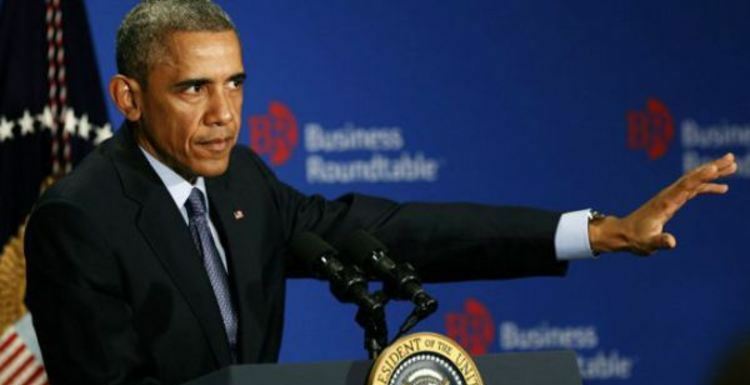 52WEISBROT Mark, “Obama absurdly declares Venezuela a security threat » in Al Jazeera, on March 10, 2015. Consulted on http://america.aljazeera.com/opinions/2015/3/obama-absurdly-declares-venezuela-a-national-security-threat.html on March 10, 2015. 53“Morales y Mujica advierten de “intento de golpe de Estado” en Venezuela” in La Jornada, on February 26, 2015. Consulted on http://www.jornada.unam.mx/ultimas/2015/02/26/morales-y-mujica-advierten-de-201cintento-de-golpe-de-estado201d-en-venezuela-2945.html on March 3, 2015. 55“Em nota, PT repudia tentativa de golpe contra presidente da venezuela” in Folha, on February 25, 2015. Consulted on http://www1.folha.uol.com.br/mundo/2015/02/1594635-em-nota-pt-repudia-tentativa-de-golpe-contra-presidente-da-venezuela.shtml on March 3, 2015. 57 GRANDIN Greg, “What is happening in Venezuela” in The Nation, on March 2, 2015. Consulted on http://www.thenation.com/blog/199681/what-happening-venezuela?utm_content=buffered824&utm_medium=social&utm_source=twitter.com&utm_campaign=buffer on March 3, 2015. 58« UNASUR Rejects US Destabilization Efforts in Venezuela » in TeleSurEnglish on March 6, 2015. Consulted on http://www.telesurtv.net/english/news/UNASUR-Rejects-US-Destabilization-Efforts-in-Venezuela-20150306-0026.html on March 9, 2015. 60 RAMPTON Roberta and MASON Jeff, “U.S. declares Venezuela a national security threat, sanctions top officials” in Reuters, on March 9, 2015. Consulted on http://www.reuters.com/article/2015/03/09/us-usa-venezuela-idUSKBN0M51NS20150309 on March 10, 2015. 61About the moderate positions of the OAS, see BEETON Dan, “Does the OAS Support Democracy in Venezuela? » in Center for Economic and Policy Research, on March 7, 2014. Consulted on http://www.cepr.net/index.php/blogs/the-americas-blog/does-the-oas-support-democracy-in-venezuela on March 10, 2015. About the most recent declarations of Insulza, see EFE, “Insulza ve complicado que EE UU declare emergencia por amenaza de Venezuela” in El Nacional, on March 9, 2015. Consulted on http://www.el-nacional.com/politica/Insulza-EE-UU-emergencia-Venezuela_0_588541353.html on March 10, 2015. 62 « Ecuador’s Correa Calls US Sanctions on Venezuela ‘a Bad Joke’ » in Telesur, on March 10, 2015. Consulted on http://www.telesurtv.net/english/news/Ecuadors-Correa-Calls-US-Sanctions-on-Venezuela-a-Bad-Joke-20150310-0003.html on March 10, 2015. 63 “Venezuela’s Maduro seeks more powers after US sanctions” in Al-Jazeera, on March 10, 2015. Consulted on http://www.aljazeera.com/news/2015/03/venezuela-maduro-seeks-powers-sanctions-150310181117857.html on March 10, 2015. 64 MIROFF Nick, DE YOUNG Karen, New U.S. sanctions lost in Venezuela’s translation” in Washington Post on March 11, 2015. Consulted on http://www.washingtonpost.com/world/the_americas/new-us-sanctions-lost-in-venezuelas-translation/2015/03/11/f8f3af6a-c7ff-11e4-bea5-b893e7ac3fb3_story.html on March 12, 2015. ; “Venezuela congress approves president’s decree request”on Al–Jazeera, on March 12, 2015. 65 NEUMAN William, « Obama Hands Venezuelan Leader a Cause to Stir Support » in the New York Times, on March 11, 2015. Consulted on http://org.salsalabs.com/dia/track.jsp?v=2&c=%2FedhWmkD6p38UyNLW5VdJzp5w6kP6G5Z on March 12, 2015. ; « Venezuela congress approves president’s decree request » in Al Jazeera, on March 12, 2015. Consulted on http://www.aljazeera.com/news/americas/2015/03/venezuela-congress-approves-president-decree-request-150312071259152.html on March 12, 2015. 66Instructive interview here “Venezuelan Gov. Releases Audio of Coup Plotters » in The Real News, on February 27, 2015. Consulted on http://therealnews.com/t2/index.php?option=com_content&task=view&id=31&Itemid=74&jumival=13301 on March 3, 2015. ; CHOMSKY Noam, “Noam Chomsky: As Venezuela Struggles to Fix Economy, U.S. Should Stop Trying to Undermine Its Gov’t” in DemocracyNow, on March 3, 2015. Consulted on http://www.democracynow.org/2015/3/3/noam_chomsky_as_venezuela_struggles_to on March 3, 2015. 68« UNASUR Rejects US Destabilization Efforts in Venezuela » in TeleSurEnglish on March 6, 2015. Consulted on http://www.telesurtv.net/english/news/UNASUR-Rejects-US-Destabilization-Efforts-in-Venezuela-20150306-0026.html on March 9, 2015. 69 “Analytic Guidance: Considering a Coup in Venezuela” on Stratfor, on January 9, 2015. Consulted on https://www.stratfor.com/analysis/analytic-guidance-considering-coup-venezuela on March 6, 2015. 70You can for example look into a comparative analysis including Venezuela, Colombia and Argentina: RIOS Eugenia, “ Fundamental Rightsa in Latin America, A comparative study adressing human rights violations in Venezuela, Colombia, and Argentina” A thesis submitted in partial fulfillment of the requirements for the Honors in the Major Program in International and Global Studies in the College of Sciences and in The Burnett Honors College at the University of Central Florida, 2011. 71 For example, according to data of Reporter without Borders, well-known for its criticism against Venezuela, the Latin America’s four deadliest countries for media personnel were in 2014 Mexico, Honduras, Brazil and Colombia. See more on http://en.rsf.org/ameriques-infographic-the-deadliest-30-09-2014,47028.html ; As report by The Nation, Venezuela also still receive refugees fro Colombia, suffering of the extreme social violence in the Andean country. See GRANDIN Gregg, “Is Venezuela Really an ‘Extraordinary Threat’ to the United States?” in The Nation, on March 10, 2015. Consulted on http://www.thenation.com/blog/200889/us-preparing-start-sanctions-against-venezuela?utm_source=Sailthru&utm_medium=email&utm_term=email_nation&utm_campaign=Email%20Nation%20%28NEW%29%20-%20Most%20Recent%20Content%20Feed%20-%20filter%20fix%2020150310&newsletter=email_nation# on March 10, 2015. 73WEISBROT Mark, “Venezuela’s Struggle, Widely Misrepresented, Remains a Classic Conflict Between Right and Left” in The Guardian, March 4, 2014. Consulted on http://www.cepr.net/index.php/op-eds-&-columns/op-eds-&-columns/venezuelas-struggle-widely-misrepresented-remains-a-classic-conflict-between-right-and-left on March 3, 2015. ; BHATT Keane, “U.S. Destabilization and Media Distortion in Venezuela (Interview)” on NACLA, on February 25, 2014. Consulted on https://nacla.org/news/2014/2/25/us-destabilization-and-media-distortion-venezuela-interview on March 3, 2015; PARTYKA Nicholas, “On the Recent Crisis in Venezuela: Confronting the US Media Narrative about the Crisis” The Hampton Institute, on July 2nd, 2014. Consulted on http://www.hamptoninstitution.org/us-media-and-venezuela.html#.VPXfIywnzF8 on March 3, 2015. 74 For Haiti, see DOLEAC Clément, “The U.S. Government Supports a Haitian Return to a One-man-rule Regime” in Council on Hemispheric Affairs on January 14, 2015. Consulted on http://www.coha.org/the-u-s-government-supports-a-haitian-return-to-a-one-man-rule-regime/ on March 3, 2015. ; for Egypt see CARLSTROM Greeg, “Egypt’s New Dictator Was Made in the USA” in Politico, on February 18, 2014. Consulted on http://www.politico.com/magazine/story/2014/02/el-sisi-egypt-dictator-103628.html#ixzz3TLnq8Ogi on March 3, 2015. 75WEISBROT Mark, “Obama absurdly declares Venezuela a security threat » in Al Jazeera, on March 10, 2015. Consulted on http://america.aljazeera.com/opinions/2015/3/obama-absurdly-declares-venezuela-a-national-security-threat.html on March 10, 2015.